We’ve been playing around with this idea for more than a year, but we are finally on the ground organizing a Summer of Solutions Ithaca! We are thrilled to engage with the community in a new way and it could not come at a more perfect time — Ithaca is undergoing a transformation and our vision of a sustainable future for the area seems closer than ever. A little background first: Ithaca is a progressive city situated in rural upstate New York and home to two fantastic universities, Cornell and Ithaca College. We have a history of enacting the world we would like to live in. For instance, Ithacans successfully kept Wal-Mart at bay from 1992 until 2005, concentrating on small business development aided by our own currency, “Ithaca Hours”, which are to be used as payment for hours of work. Ithaca and Tompkins County are replete with organic farms, which are often youth led. We’ve seen widespread energy efficiency campaigns and the development of numerous local renewable energy sources. Last year, we elected a 24-year-old Cornell graduate as mayor of the city. Ithaca is home to countless celebrations commemorating this special, beautiful place we call home. We recognize that Ithaca still has problems. We haven’t transitioned substantially to renewable energy sources. We do not yet have a viable local food system. Race, class and gender injustice persist. Many residents are painfully aware of the natural gas industry’s intention to drill in the Marcellus Shale that lies under Ithaca and surrounding counties in New York. Individuals and organizations in Ithaca and Tompkins County have taken on these issues with enthusiasm and gravitas. The number of different solutionary efforts currently on the ground in Ithaca is overwhelming. Fortunately, as young people, we have prioritized working with these community members over the last several years and have created an important space for our voice to be heard. 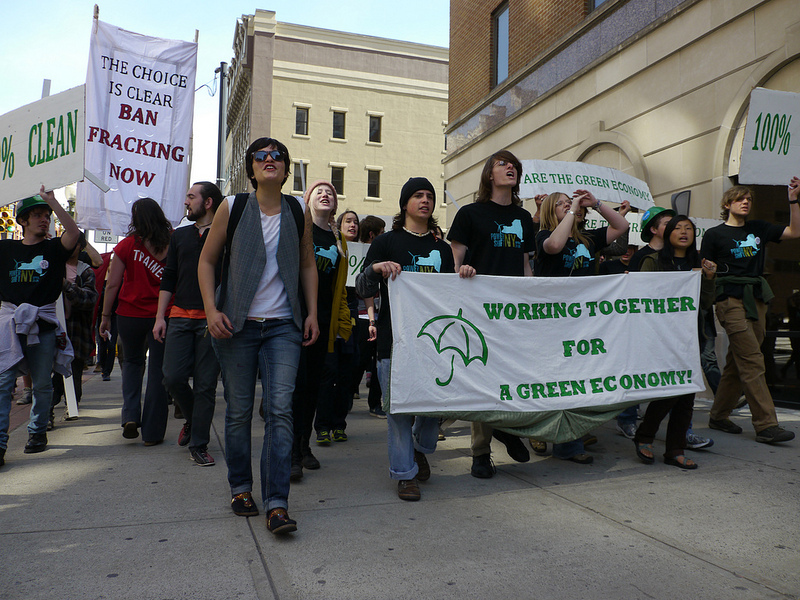 In spring of 2011, three of us made a pitch to the Tompkins County Climate Protection Initiative (TCCPI), a multi-sector collaboration between all the big players in the Ithaca economy who are concerned about the climate crisis. We asked for a youth seat on the steering committee, and not only were we unanimously granted one, but the chair of the Tompkins County Legislature told us we have the “moral authority” to be decision makers. With those words at heart, we are eager to see what change we can enact through a 8-week Summer of Solutions program, both for the community and for young leaders. Please help us get on our feet! It’s only through generous donations of supporters that all grassroots change is made possible. Our campaign on Indiegogo lasts until January 1 and you can donate here: http://www.indiegogo.com/sosithaca. This entry was posted in Local Programs, Summer of Solutions and tagged Fracking, Ithaca by ArianaShapiro. Bookmark the permalink.